The one-of-a-kind youth innovation program is in partnership with Touch Lebanon and will span ten weekdays from July 17 till 28 and will be hosted in Touch LAB in Downtown Beirut. 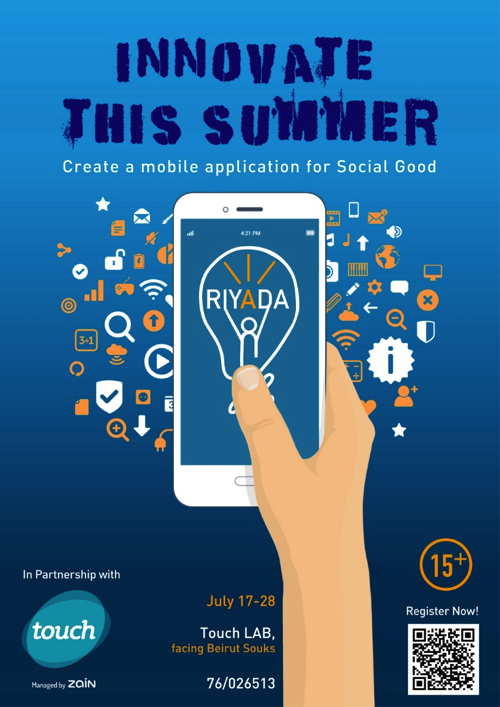 Participants 15+ will be exposed to social entrepreneurship in a project-based and hands-on manner where they will be developing a mobile application to solve a real social problem related to one of the 2030 Sustainable Development Goals. The program aspires to transform the youth into social innovators and make them believe that they can create change and make the world a better place by using technology and entrepreneurship. The program is under the Summer of Innovation initiative of PM Saad Hariri. It is also in collaboration with Edgemakers Inc. as training partner, a US-based leader in innovation and creativity education, Go-fit as well-being partner, Careem as transportation partner, and Bamboo Geeks as coding partner. 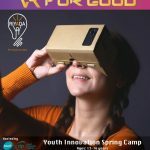 The participants of the program will be equipped with innovation and creativity skills, technical skills, entrepreneurship skills, and soft skills (life coaching, storytelling, breathing and meditation, team building, communication skills, presentation skills) to solve a real social problem they face in their communities all through fun and engaging exercises with several guest speakers and a field visit. The teams will present their work at the end of the program to a panel of esteemed jury from the entrepreneurship ecosystem in Lebanon and the winning team will receive valuable prizes from Touch Lebanon.